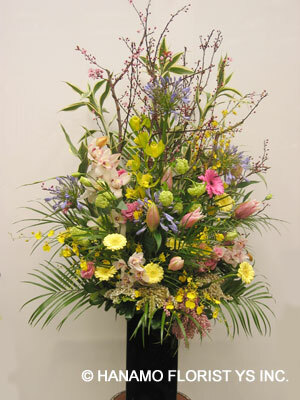 VASE Arrangements : Hanamo Florist Online Store, Vancouver, BC, Canada, Quality arrangements using a plethora of the freshest flowers. Prices in this category will be different on the Valentine's Day and a week prior. About 20 inch H. Ecuadorial White Roses and White Cymbidium Orchids in a contemporary style.